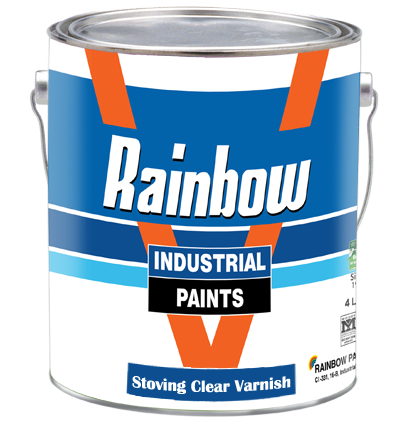 Rainbow Stoving clear varnish is specially developed for over coating paint and cover transfers. Composition: Alkyd ammonia resin. Covering: 10-12 sq Minutes /LT. No. of Coats: 2 Coats. Film Tickness: 25 Micron. Finish​: Glossy. Thinner: Stoving thinner 690. Pack: 20 Liters Drum. Colour: Black.